The gunmen then detonated what are believed to have been suicide bombs. 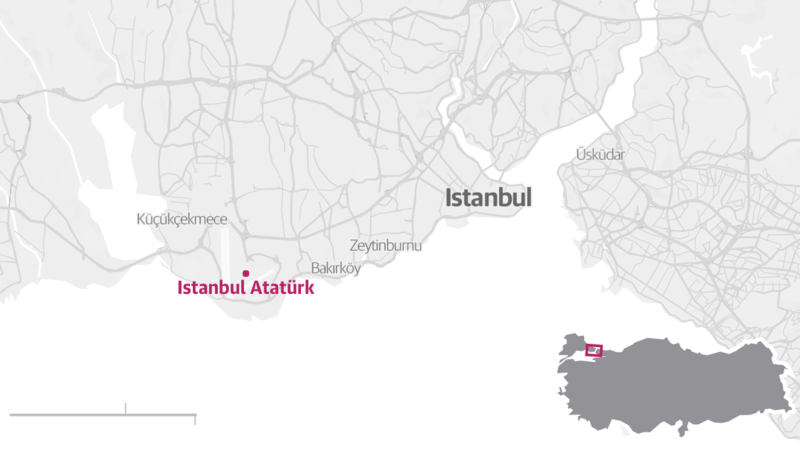 Three attackers died on the scene, said the Turkish prime minister, Binali Yıldırım. “We are not delighted of course, and I briefly hesitated when booking this trip,” Peter, who preferred not to give his last name, said. “But I have been coming to Turkey a lot, it’s a beautiful country. In the immediate aftermath of the attack police barred access to the airport and some flights were diverted away from Istanbul. Western experts and intelligence officials are warning that the recent military gains made against the Islamic State of Iraq and Syria (ISIS) are not enough to damage it, and may in fact make the group stronger in the long run. Undoubtedly, the impressive momentum of ISIS, which calls itself the Islamic State, has been curtailed, and the image of invincibility that it once projected is no longer there. Observers estimate that the Sunni militant group has lost nearly a fifth of its territory in Syria, while it is no longer in control of about half of the land it used to occupy in Iraq. As a result of these territorial defeats, ISIS has lost a third of its oil production, which is believed to account for half of its overall revenue. Earlier this month, US President Barack Obama said that, as ISIS continues to concede territory, it is “losing the money that is its livelihood”. But US intelligence officials do not seem to agree. Speaking on June 16 before the US Senate’s Select Committee on Intelligence, John Brennan, Director of the Central Intelligence Agency, cautioned against triumphalism. He told senators that the efforts of the international military coalition against ISIS “have not reduced the group’s terrorism capability and global reach”, adding that ISIS would “have to suffer even heavier losses of territory, manpower, and money for its terrorist capacity to decline significantly”. According to Reuters, a number of US intelligence officials and counterterrorism experts support Brennan’s views. The news agency said on Wednesday that many experts are warning that the military campaign on the ground was “far from eradicating [ISIS] and could even backfire”. The fact that local troops fighting ISIS are almost completely composed of Shiite Arabs from Iraq and Iran, or are Kurdish Peshmerga, could add legitimacy to ISIS as the protector of the Sunni Arab minority in the region. There are also reports of human rights violations against Sunnis by the advancing Shiite forces, including an unconfirmed allegation that 49 Sunni men of fighting age were executed after surrendering to the anti-ISIS coalition in Falluja. Additionally, if ISIS loses much more territory, it will be tempted to simply abandon conventional fighting tactics and turn into a guerrilla group. Reuters quotes RAND Corporation analyst Seth Jones, who argues: “It looks like the areas that the Islamic State has lost, they are generally abandoning, and that would mean preparing to fight another way”. That could mean that ISIS fighters intend to blend in with the urban population and launch a campaign of sabotage, assassination and disruption of government services. As ISIS has lost ground in Iraq and Syria, the flow of foreign fighters intending to join the organization has dropped significantly. But that is not necessarily a good thing, says Reuters. These fighters, who in the past were instructed to join ISIS in the Middle East, may now be told to launch lone-wolf terrorist attacks abroad. The Reuters report cites one terrorism expert, Hassan Hassan, of the Royal Institute of International Affairs in London, who argues that the international appeal of the Islamic State is not connected to the group’s military performance in the Middle East. In other words, its popularity among its Western followers will persist even if all of the group’s territorial strongholds are lost to its adversaries. ISIS has collected information on 77 U.S. and NATO air force facilities around the world and is calling on supporters to attack them, according to South Korea's intelligence agency. The terror group has also released information on individuals in 21 countries, including the personal details of one employee of a South Korean welfare organization, the National Intelligence Service (NIS) said in a statement Sunday. That person is now under protection, the agency said. The NIS says ISIS' hacking organization, the United Cyber Caliphate, collected details of U.S. air force units in South Korea including Osan Air Base, and addresses and Google satellite maps have been released through the Telegram messaging service. In a statement Monday, U.S. Forces Korea (USFK) said it took the safety and security of its installations very seriously. "Through constant vigilance and regular exercises with our South Korean counterparts, we remain prepared to respond at any time to any emerging threats," the statement said. "USFK remains committed to ensuring the highest degree of security on the Korean Peninsula." Over the past five years, 50 people suspected of being part of terrorist organizations have been deported from South Korea, according to NIS. In its statement Sunday, the NIS warned that "terror against South Korean citizens and foreigners in this country is becoming a reality." The most recent ones, released on Jun. 18, show the USS John C. Stennis (CVN 74) and USS Ronald Reagan (CVN 76)carrier strike groups (CSG 3 and CSG 5) crusing close each other during dual carrier flight operations in the Philippine Sea. BERLIN (Reuters) - Top U.S. Navy officials say increased U.S. and NATO exercises in eastern Europe do not amount to "saber-rattling," but are necessary steps to train with allies and deter the most aggressive Russian maritime expansion in 30 years. Vice Admiral James Foggo, who heads the U.S. Navy's fleet in Europe and oversaw the annual NATO exercise that just ended in the Baltic Sea, told Reuters he was braced for incidents such as the one last April when two Russian warplanes flew simulated attack passed near a U.S. guided missile destroyer. But he said this year's 'Baltops' exercise saw "much less Russian activity and harassment" than in 2015, and Russian officials had apparently shifted to more strategic messages by senior politicians than tactical incidents like the flyover. He said Russian surveillance ships did shadow U.S. ships during the exercise, and Russian jets and helicopters flew over U.S. and British ships, but they stayed at a safe altitude and acted professionally. Russian and U.S. officials also met recently to discuss ways to avoid incidents at sea, Foggo said. Foggo and Navy Secretary Ray Mabus both rejected comments from German Foreign Minister Frank-Walter Steinmeier, who warned this weekend that NATO exercises in eastern Europe could raise tensions with Russia at a time when more cooperation was needed. "What we shouldn't do now is to inflame the situation by loud saber-rattling and shrill war cries," Steinmeier told Bild newspaper in an interview published on Sunday. Mabus said the remarks likely reflected domestic political issues, and stressed that Germany was part of the 28-member NATO alliance, which had agreed by consensus to carry out the exercises in question. "What’s important is what comes out of NATO, and what comes out of the defense ministerial and the summit in Warsaw," Mabus told Reuters in an interview in Berlin. "And the aim and the resolution of NATO are pretty clear in terms of deterrence and reassurance." NATO is increasing its defenses in Poland and the three Baltic nations of Estonia, Latvia and Lithuania, as part of a wider deterrent that NATO hopes will discourage Russia from a repeat of its annexation of Ukraine's Crimea peninsula in 2014. Mabus said increased U.S. shipbuilding deliveries - with the current fleet of 274 ships expected to grow to 308 by 2021 - would also allow the U.S. Navy to increase its presence in Europe for the first time in 15 years, even as it also boosts its presence in the Asia-Pacific region. "Baltops was not about saber-rattling," Foggo said in an interview from his headquarters in Naples, Italy. "It was not our intent to look like or act like an aggressor force. "He said Russia - which last participated in the Baltops exercise in 2012 - could be invited to resume participation if its behavior improved. But he said it was still unclear that Russia would want to participate. Foggo said NATO and the U.S. Navy needed to maintain dialogue with Russia to minimize the risk of accidents, while also keeping an eye on a 50 percent increase in Russian naval operations. He cited Russian plans to deploy six more submarines in the Black Sea, and said U.S. officials reported a level of submarine operations in the Mediterranean not seen since 1999. The Hungarian government has requested that the European Parliament lift legal immunity on far-right MEP Bela Kovacs, so it can investigate allegations that he is a KGB agent. 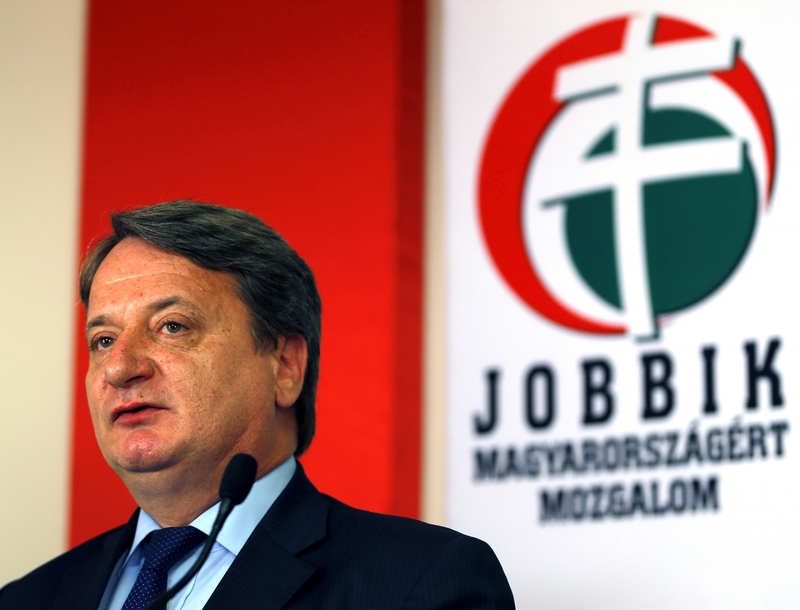 Kovacs is a member of nationalist party Jobbik and a vocal supporter of Russia, but now stands accused of being a KGB informer, following a honeytrap operation in the 1970s. "The case is currently in front of the European Parliament, after the Hungarian prosecutor general's office turned to its president requesting the suspension of MEP Béla Kovács' immunity," Hungary's prime minister's office confirmed to Newsweek. Hungarian investigators are currently awaiting a decision from Brussels to begin their investigation, which could see Kovacs jailed for more than 10 years if found guilty. The move follows revelations from Hungarian newspaper Index. On Tuesday, the newspaper reported that Kovac's wife, Russian Svetlana Izstosina, was legally married to two other men, one of them a nuclear scientist at Moscow State University. In the decades prior to Kovacs emergence into Hungarian politics on a nationalistic anti-EU platform, Kovacs and his wife travelled unhindered frequently to Russia, unhindered by the Soviet Union's strict border laws. Izstosina is alleged to have acted as a messenger for the Soviet government, with Kovacs acting as an accomplice after she acted as a honeytrap: a spy who seduced men to blackmail or extract information from them. According to intelligence and security sources quoted by the paper, Kovacs held "confidential" meetings with Russian diplomats in 2009. Kovacs denies allegations that he worked for a foreign intelligence agency. When confronted with evidence that his wife is also married to Masanori Omiya, a Japanese man, Kovacs reportedly told the newspaper, "I think I have as many questions for her as you do." The MEP has close ties to Russia, with Russian president Vladimir Putin calling for him to be an election monitor for the disputed Crimea referendum in March. 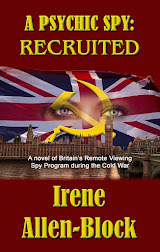 Experts say that the KGB has infiltrated a number of far-right and far-left wing organisations in Europe in an attempt to undermine its strategic rival the EU. French Special Forces were tasked with training the US-backed Syrian Democratic Forces (SDF) and building a military base near Kobani ahead of a major offensive on the ISIS-held city of Manbij, said a former Kobani official on Wednesday. "French soldiers arrived in Kobani along with US troops to take part in liberating Manbij. They are primarily tasked with coordinating the US-led coalition airstrikes, consulting and providing training to Manbij's Military council and the Syrian Democratic Forces," said former Kobani official and political analyst Idris Nessan, Sputnik reported. The French on the ground are not expected to take part in combat, at least for now, and Nessan could not disclose how many French soldiers were present in Kobani, however he added that additional troops could arrive if required. Manbij is a strategically important city located southwest of Kobani in Northern Syria. It has been surrounded by Kurdish and Arab fighters, but ISIS militants are still maintaining their grip on the urban area itself. The siege has dealt a major blow to the terrorist group that relies heavily on unfettered access to Turkey that has allowed the organization to regroup, rearm and resupply. Manbij has also served as a key link between the border region and the Syrian city of Raqqa, the de facto capital of the ISIS. "France also intends to build a military base in Kobani. However, contrary to earlier reports, construction works will not take place at the Mistenur hill. The facility will instead be located in the South of Kobani," he explained. No military activity has been detected at Mistenur, he added. "In addition, this area is not suitable for building a base due to security reasons. The French forces have been stationed at a cement factory to the South of Kobani," he noted. France admitted that its special forces were deployed to Northern Syria last week. "We are helping with arms, we are helping with aerial support, we are helping with advice," France's Defense Minister Jean-Yves Le Drian said. French army spokesman Colonel Gilles Jaron later confirmed the information, but refused to provide additional information to protect the Special Forces involved in the operation, FNA reported. The Syrian Army aircraft dropped leaflets reading “Surrender Now” over the ISIS-held regions in Raqqa province to give the Takfiri terrorists a last chance to lay down their arms and surrender to the authorities as soon as possible. "The Syrian army and its allies are advancing towards the ISIS bases across the province and the Takfiri terrorists' rule in the region is on the verge of collapse," the Syrian army underlined in its leaflets, adding, "The fate of those who try to fight against the Syrian army and nation will end in nothing but death." Sources in Raqqa province disclosed on Tuesday that simultaneous with the significant advances of the pro-government forces in the Western and Northern parts of the province in recent days, a large number of foreign fighters of the ISIS fled the battlefields to find shelters in other provinces or even in Iraq. "The ISIS fighters, including those from Saudi Arabia and Chechnya, have departed the ISIS. They have left alone their comrades after the victories, the Syrian Armed forces and the Syrian Democratic Forces (SDF), gained against the Takfiri group near al-Tabaqa airbase and Tishrin dam," the sources said, adding, "The ISIS has forbidden access to fresh news about the developments in the battlefields." "Talking about news over the defeats of the ISIS in the battlefront can end in death penalty for ordinary people in Raqqa," the sources said, FNA reported. "We are still at level three, which refers to a threat that is serious, and we have been at this level since November," he said. "It is true that you should be careful in areas with large concentrations of people... Security has already been reinforced at all these targets. For now, there has not been a change." The gunman who killed 49 people in a gay nightclub in Orlando is reported to have been seen there several times before the massacre. CBS News has spoken to a US official with knowledge of the investigation who says club-goers had told investigators they had seen Omar Mateen at Pulse previously. Local newspaper The Orlando Sentinel reported that Mateen was seen drinking alone at the club by at least four people before the night when he opened fire. One club regular Ty Smith told the paper he had seen Mateen at least a dozen times. He said: "Sometimes he would go over in the corner and sit and drink by himself. "And other times he would get so drunk he was loud and belligerent. "We didn't really talk to him a lot, but I remember him saying things about his dad at times," Mr Smith added. "He told us he had a wife and child." Another Pulse-goer Kevin West told the Los Angeles Times that Mateen had messaged him several times using a gay chat app. The communication was on and off over the space of a year, he added. WFTV9, meanwhile, interviewed a gay former classmate of Mateen's who claimed the killer had asked him out after going to several gay bars with him. When his ex-wife Sitora Yusufiy was asked by CNN on Monday if he was gay, she sat in silence for a few seconds before answering: "I don't know." Orlando Police have so far refused to comment. Some have suggested his familiarity with the club may explain why he chose Pulse, rather than other clubs closer to his home in Port St Lucie, about 130 miles (200km) south of Orlando. The US-born security guard, a 29-year-old son of Afghan immigrants, shot dead 49 people on Sunday night and injured another 53 before being himself shot dead by police at the end of a hostage siege. Officers had to use an armoured vehicle to smash a 2-3ft hole through a wall to rescue dozens of people who had been hiding in a toilet. The FBI have said Mateen was investigated in 2013 over "inflammatory comments" suggesting "terrorist ties" and US media reported he made a phone call before the Orlando attack declaring allegiance to Islamic State. There have been reports that Mateen showed anger at seeing two men kissing, but his father has told Sky News a normal reaction would have been to say "it's a free country". Seddique Mateen told the New York Daily News his son is not gay. Friends and co-workers have described Omar Mateen as homophobic and "mentally unstable," while his ex-wife said he was violent and had bipolar disorder. The FBI is trying to establish whether Mateen had recently scouted Disney World as a potential target, as some reports suggested. US authorities have confirmed he was able to buy at least two guns in the days before Sunday's attack, despite confirmation from the FBI that he had been interviewed twice over possible terror links. The U.S. aircraft carrier USS Dwight D. Eisenhower entered the Mediterranean late on Monday, the U.S. Navy said, at a time when U.S. officials are raising alarm over Russia's maritime expansion. 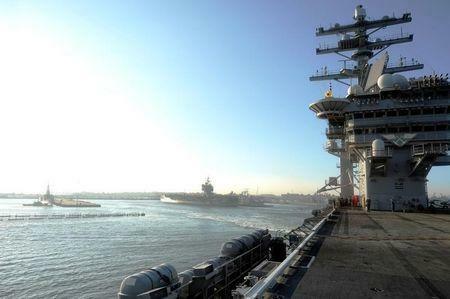 The Eisenhower, also known as the "Ike," will relieve the USS Harry S. Truman carrier strike group which later this month heads back to the United States after an extended eight-month deployment. The Eisenhower, which also leads a strike group of cruisers, destroyers and warplanes, is scheduled to continue on to the Gulf to participate in U.S. air strikes on Islamic State targets in Iraq and Syria. Exact details of its deployment have not been released. 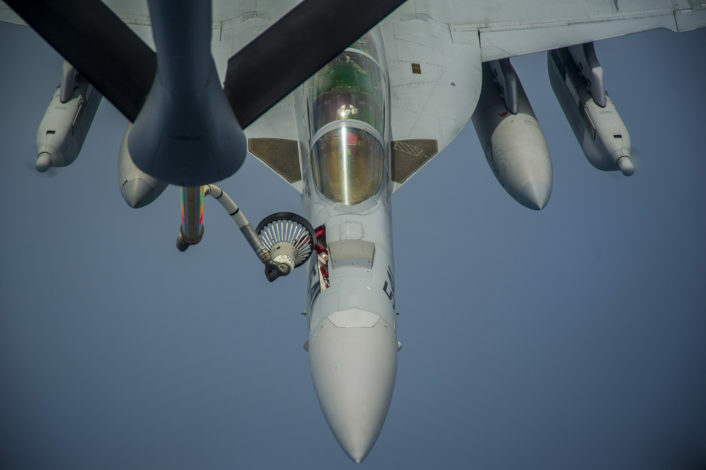 Fighter jets based on the Truman have been carrying out air strikes against Islamic State from the Mediterranean since June 3. 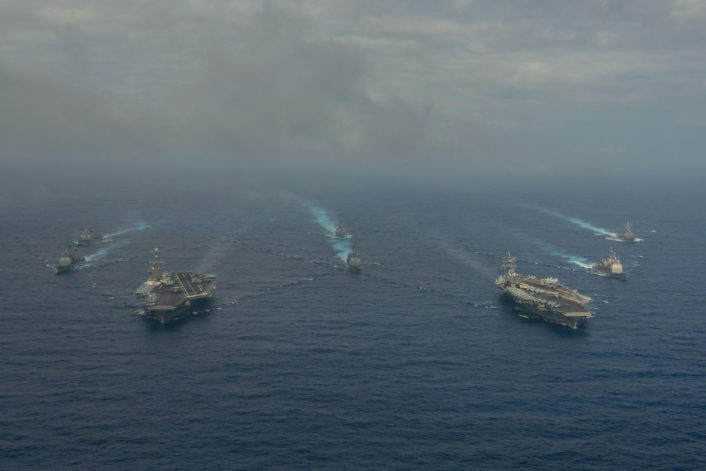 The Eisenhower's deployment is part of a rotation of U.S. forces supporting maritime security operations around the globe, the Navy said. 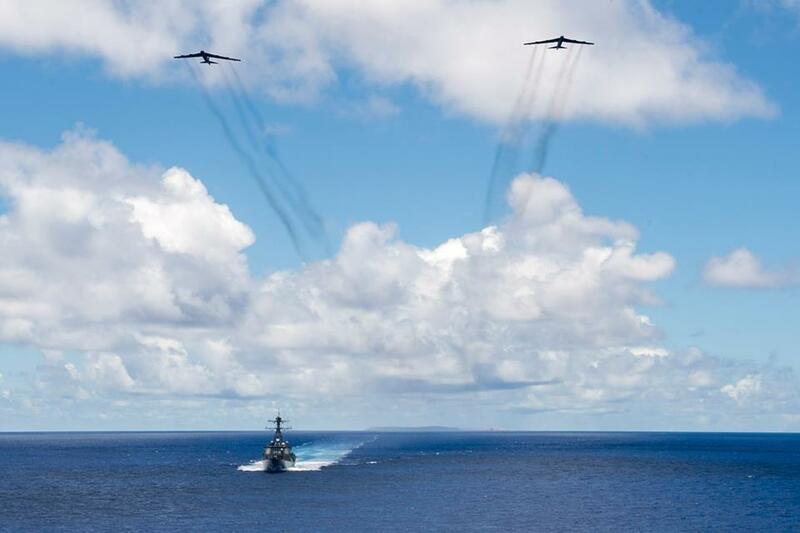 Its strike group includes two guided-missile cruisers, four guided-missile destroyers and nine air squadrons. The Navy said the presence of two carrier strike groups in the Mediterranean showed the U.S. commitment to safety and security, while sending "a strong message of support to our allies and partners in Europe." The move coincides with NATO military exercises across eastern Europe and Turkey that may raise tensions with Russia. U.S. officials say Russia is operating warships and submarines in the Mediterranean and plans its own military exercises in coming weeks. Vice Admiral James Foggo, who heads the U.S. Navy's fleet in the Mediterranean, and naval analyst Alarik Fritz last week said Russia was aggressively expanding its surface and submarine maritime capabilities from the Arctic to the Black Sea. "Combined with extensive and frequent submarine patrols throughout the North Atlantic and Norwegian Sea, and forward-deployed forces in Syria, Russia has the capability to hold nearly all NATO maritime forces at risk," they wrote in the naval journal Proceedings. They said it was critical to leverage allied navies to work with NATO partners so they could respond to emergencies and protect maritime infrastructure. Russia last week said it would respond to a U.S. destroyer's entry into the Black Sea with unspecified measures, saying it and other deployments were designed to ratchet up tensions ahead of a NATO summit in Warsaw next month.